Many of us fondly remember our childhood days when beehives were a common sight. And who doesn’t love the taste of honey? Besides honey, bees give us access to a host of useful products, now, much easier, thanks to the recently growing trend and interest in Beekeeping activities. Despite the fear of stings, people are looking forward to involving themselves in beekeeping as a hobby and occupation. BeeAttire is here to support your passions by connecting technology with nature, so beekeepers reap the best. BeeAttire LLC is a one-stop solution for all your beekeeping requirements. 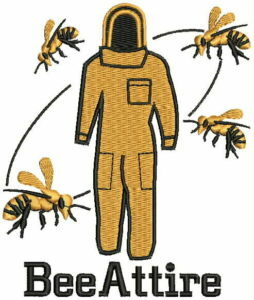 As the name suggests, we are one of the leading manufacturers and retailers of high quality beekeeping protective clothing. We support beekeepers by manufacturing tools and clothing that keep the stings away and offer immense comfort and peace of mind when working with bees. The Indian family-owned manufacturer remains strongly committed to providing excellent customer service while retaining its core emphasis on beekeeping protective gear with complete regard for the environment. Our online services endeavour to handle with precision every order to enhance the value to every customer. Our operation aims to adapt to our customers’ specific beekeeping needs, coupled with complete value for money. BeeAttire has an impressive collection of ventilated jackets, suits, trousers and accessories that enable safe, fast and reliable use. These are manufactured from superior quality materials that offer adequate protection against bees, wasps and other insects. The collection includes Ultra Ventilated Bee Suit, Ultra Ventilated Bee Jacket, Semi Ventilated Bee Suit, Semi Ventilated Bee Jacket, Single layer vented bee suit, single layer vented bee jacket, Cotton Bee Suit, Cotton Bee Jacket, Poly Cotton Bee Jacket, Poly Cotton Bee Suit and Suits for Children as well. Our gear can be ordered online for a hassle-free, seamless, easy buying choice. Simply click and add your favourite beekeeping products that are reliable, and of high quality. Our hands-on experience in this field as well as competent staff, we offer value in everything we do. Established in 2013 under the name of Radianceray, and headed by Mr Kulbahar Singh Tawana, the company is one of the first Indian manufacturers’ of beekeeping clothing and gear. In 2016, it started its US operations with an ever increasing client base being a trusted name in the Industry for the past many years. We will continue to further our achievements with strict adherence to quality and exceptional service. We are here to offer you direct and personal attention. To discuss out your queries, you can approach us all 24 hours. If you are looking forward to avail an arsenal of modest beekeeping supplies, get in touch.